Hello lovelies! 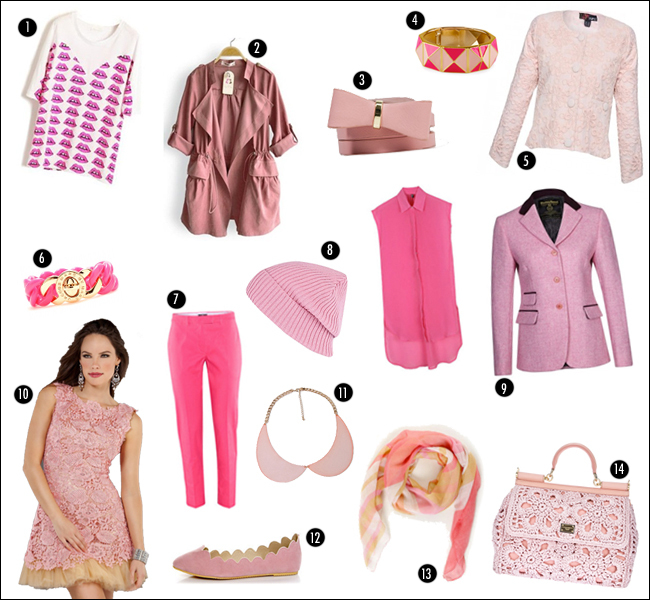 Today for my "My Sparkly Shopping Selection" post I've chosen to select pink items, of different shades and different styles. I've selected a cocktail dress from MissesDressy, really romantic and perfect for a special occasion, a scarf to pair with a blazer or a simple tee, two jackets, one more structered from Harris and one more feminine from Yumi. I've selected various accessories, such as the amazing crochet Dolce&Gabbana Miss Sicily Bag, a belt and some bracelets. I've also chosen a pair of flats for your casual morning looks. Which is your favourite item? Buongiorno! Oggi per la mia rubrica My Shopping Sparkly Selection ho scelto di selezionare capi ed accessori rosa, declinato nelle sue differenti sfumature e in diversi stili. Ho scelto un abito di Missesdressy, molto romantico ed adatto per un' occasione molto speciale, un foulard da indossare con un blazer o sopra una semplice t-shirts, due giacche, una più strutturata, di Harris e l'altra di Yumi più femminile e bon-ton. Ho selezionato anche vari accessori, tra cui la fantastica Miss Sicily Bag di Dolce&Gabbana, una cintura con fiocco di Forever21 ed alcuni freschi bracciali perfetti per arricchire anche le mise più semplici. 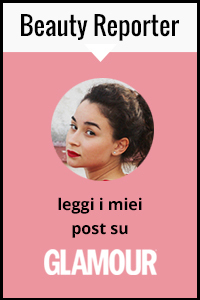 Non potevano mancare le scarpe, questa volta ho selezionato un paio di sfiziosissime ballerine per i vostri look più comodi ma sempre femminili. Qual è il vostro pezzo preferito? Great selection. I think pink is beautiful in summer. I really like Olivia's outfit! At times, extended night dresses are worn in prom evenings. Once more, you may completely transform your feather prom outfit right into a gorgeous night dress. It can be good to put on some thing which has deep vneck and tank sleeves. Being an accent, just include an embroidered strap in the waistline. In case you are attending a wedding celebration, you ought to be sporting one thing which has only one particular shoulder. A tie in 1 shoulder in conjunction with the superbly pleated cross more than bodice can provide you with the ideal appear. Once more, you'll be able to place on the pleated panel around the midsection. Pink is really nice, like them. Thank you for sharing. Do really like these fashion clothes, love these outfits. Whatever your plans are for this year's prom, you certainly have a fabulous variety of dresses and hair styles to choose from to prepare ahead for the time of your life! The topic of the wedding is an additional element that can impact the fashion of dress you decide on for your mom from the bride. Normally for incredibly official weddings that happen to be held at evening or extravagant weddings held within the late afternoon, dresses will probably be totally free flowing, sophisticated, extended and free fitting. Fashion and beautiful, I like all of them. Great post! I like all you post! Thanks for sharing.